"The perfect mountain retreat! 2 bedroom 2 bath home WITH another 1 bedroom 1 bath room with attached large shop. Beautiful views of the Nevada County hills. Spacious lot that makes you feel you are in a world of your own. Newly Painted inside and out. New flooring, new A/C unit, all ready for you to just put the key in the door and move in. Community pond nearby. 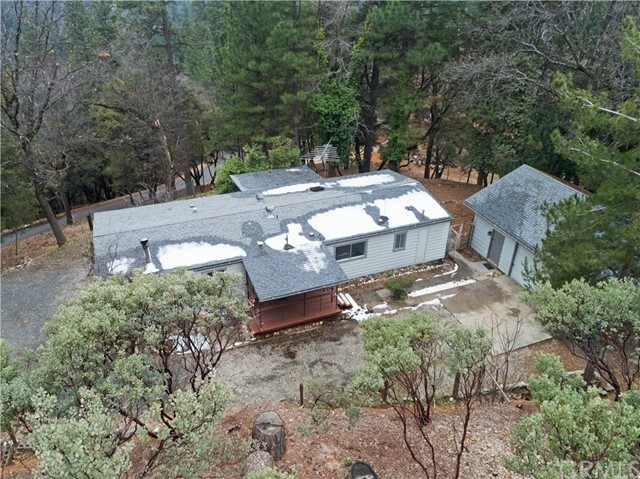 Close to the Nevada County Airport. You have to see this home today! Home is manufactured and built in 1973. Please call agent for mor"